Here’s something you don’t see every day. A new homeowner. Yes, of course, we recognize that the homeownership rate in the United States is still above 60%. But, if you’ve been keen lately, you’ve probably noticed the slight but steady uptake dip. People are not buying homes as they previously did. So congratulations for joining the big league of homeowners. That’s one increasingly admirable feat, to say the least. For what it’s worth, we share your excitement. And let’s be honest here, you’ve probably never been this exhilarated before. I mean, people work their backs off to get to this point. That’s why it’s pretty understandable that some things might have slipped through the cracks. Those negligible details like homeowners insurance. Apparently, that’s unimportant for now. Or so it seems. Because there are possibly other more important issues to handle as you settle down. More paperwork is seemingly the last thing you need right now. But wait until you see a rather disturbing trend by the end of the year. More than five of your 100 neighbors will have filed insurance claims for various losses. If you’re a mortgage buyer, on the other hand, the situation is quite different. You don’t have the luxury of ignoring a homeowners insurance. Because lenders are not willing to risk their investment. Believe me, we’ve heard enough stories about last-minute frantic phone calls to insurance providers. And they mostly never end well for buyers. Because what’s more profitable to insurance companies than desperate buyers in a hurry? Then there’s that category of homeowners who’ve been patient and diligent enough to clear their mortgages. Well, here’s a double toast if you’ve achieved that. It’s an accomplishment to move into a mortgaged home. It’s another thing altogether to brave it out and make all the payments. And the best thing is? No one is looking over your shoulder anymore to compel you to maintain the insurance coverage. The last thing you need right now is more bills. But, here’s the kicker. While shaving off your bills is commendable, opting out of homeowners insurance coverage actually leaves you vulnerable. Of course, you might not have seen any serious property damage within your neighborhood. For as long as you’ve been making mortgage payments. So, why should you get worried about possibly inexistent risks? Fair enough. But then again, consider this. It takes only one disaster to render you completely homeless. We’ve seen even the most unexpected events. Situations that previously only featured in storybook tales. Like the 2013 sinkhole that opened up and swallowed an entire home. Now, imagine paying a mortgage for all that time, only for the ground to open up and take everything away. All in all, here’s the point. You’re still a homeowner regardless of your category. And risks are always imminent. Waiting right by the corner. Michigan’s average premium rate of $1,073 is slightly lower than the nation’s $1,288. But it’s still beyond what most individuals might consider reasonably comfortable. 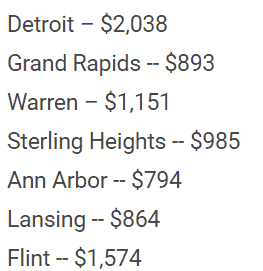 Especially if you’re within Detroit area, where it’s almost double at $2,038. Well, it must feel good that the State doesn’t treat this like auto insurance. Since it’s not compulsory at all. Hence the persistent temptation to save yourself the cash. Undeniably, this is the reason why half of the homes in high-risk areas, according to FEMA, are not even insured. I’ll tell you what though. We’ll approach this differently. The truth is disasters will always occur. And the best way to protect your hard-earned home investment is insurance. So I’ll show you how best to do just that. Through a home insurance buyers guide that helps you secure the most ideal coverage. As you start searching, here’s something you should expect. Each insurance company will talk a big game about providing adequate protection for your home. Now, this is one thing agents in Michigan are particularly skilled at. They’ve worked around even the most doubtful buyers. You might find yourself purchasing a seemingly comprehensive policy right off the bat. And the most interesting bit? We’ve seen buyers who get so absorbed into the whole price comparison that they forget another critical bit. The final possible insurance payout in case of complete loss. Not everyone falls into this trap though. There are some who’ve proven to be more analytical. But only to a limited extent. They seek information about their respective liability limits. And they leave it at that. Forgetting the other equally crucial half. It’s impossible to adequately insure a home if you don’t know what you’re protecting in the first place. A homeowners insurance essentially safeguards the value of your home. That’s why a payout is always tied to the corresponding property value. Usually, insurance providers will always do property value assessments. But don’t let it blind you. Their math is always skewed to analyze their potential profits. That makes it the worst source of reliable information. Before everything, therefore, the buck should start with you. Start shopping only after you’ve conducted a comprehensive appraisal of your home. Naturally, you might think of proceeding with your home’s previous buying price. But that could also be inaccurate. All properties in Michigan have always been subject to varying appreciation and depreciation rates. Over the past year, for example, home values have shot up by 8%. Consequently pushing the average value to $153,000. If you thought next year could be the same, here’s the shocker. Predictably, the appreciation rate will adjust even higher to 9.2%. The only way out of all this confusing math is consulting a professional appraiser. They should subsequently conduct a detailed independent valuation of the entire property. The corresponding report should be done by the time you start worrying about how to find homeowners insurance. That is your ultimate reference authority through the whole shopping process. Ok, you now know the value of what you’re protecting. But do you have an idea of what you’re protecting it against? We’ve might have advised that any unexpected disaster could occur. But don’t take that too literally. Otherwise, every home would be insured against possibly everything. Consequently making homeowners insurance premiums much more expensive. A reliable way to minimize your resultant premium is limiting the covered liabilities. Unfortunately, this is easier said than done. If you opt out of way too many liabilities, you end up with cheap but inadequate insurance. That’s how 64% of homes have ended up uninsured. This, to say the least, is a rather complex analysis of probabilities. The only way to get the economics right is achieving that delicate balance between insurance cost and possible risk factors. And the first step is always historical analysis. According to the U.S. Fire Administration, house fires are quite rampant in Michigan. Despite increased efforts by fire departments, properties are still destroyed by fire, and people continue losing lives. In 2017 alone, the news media reported 79 home fire fatalities. This makes Michigan, along with Alabama, the leading states in deadly home fires. The situation is even worse when we zero in further on some of the cities in the state. Detroit, for instance, is placed topmost above 100 cities with the highest home fire risk. It’s so dire that nearly a fifth of its residents have already experienced fires in homes. Basically, if there’s a place you should start, then it has to be fire liabilities. But this barely scratches the surface. There are many more risk factors which are specific to particular cities. And they start varying when we focus on precise neighborhoods. Even after all that, the assessment becomes more complex. Because we also review future forecasted patterns of weather and social trends. That’s the best way to make conclusive reports on actual foreseeable risks. General shopping is already too cumbersome for many people. It takes up a lot of time to sort, even when you’re conveniently doing it over the web. Well, that pretty much covers typical shopping with all information readily available. Now, switch to insurance providers and you’ll probably end up with a headache. The whole thing would be much easier if we had a single comparative chart. But insurance companies have always withheld such critical information. As a result, you’ll be forced to contact them individually to seek any information. And that’s just the first part. Because you should subsequently compare everything to make an informed choice. Makes sense why homeowners find this whole process to be very challenging. That said, it’s still critically important. Especially if you want the best possible policy for your home. Try contacting a couple of providers for starters. And you might notice that homeowners insurance is not as competitive as auto insurance. Needless to say, the cost variations can be pretty wide. Bankrate confirmed this after sampling 15 U.S. cities including Michigan’s Grand Rapids. They contacted various providers for quotes on varying property scales. Then worked out the average at the end to table conclusive results. And they were astonishing. In every sense of the word. Some quotes differed by as much as 188 percent. In Grand Rapids, the difference between the highest and most expensive quotes was 55%. Yet Bankrate had only approached three providers. Evidently, one thing’s for sure. The more you shop around, the better the deal you ultimately settle for. All things considered, shopping around is not just about the cost. You should also focus on the respective policy details. That’s precisely where the devil is always hiding. As a matter of fact, it’s impossible to comprehensively assess the cost without reviewing underlying policy details. Unfortunately, the review process is not that simple. The fundamental problem is that the language that insurance companies use for their policies. Technically, they are all in English. But they might read like some form of an alien dialect because of all the complex phrases. Words like riders, sub-limits, actual cash value, replacement cost, and deductible are just a tip of the iceberg. There are many more where these come from. And the worst thing is? Overlooking one simple term could make all the difference in your homeowners insurance. Sadly, many individuals have fallen victims in the past. Only to be stunned by legitimate rejections when they filed their claims. Simply put, there’s no way out of this. You have to fully understand all the policies to make an informed decision. And that includes the often-skipped fine print. Thankfully, there’s a translator that can save you all the trouble. Just talk to a reputable independent insurance agency. It really is that simple. 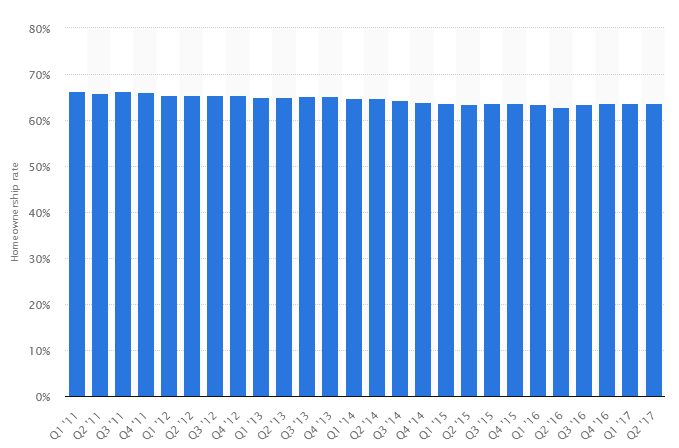 ● The homeownership rate in the United States is still above 60%. 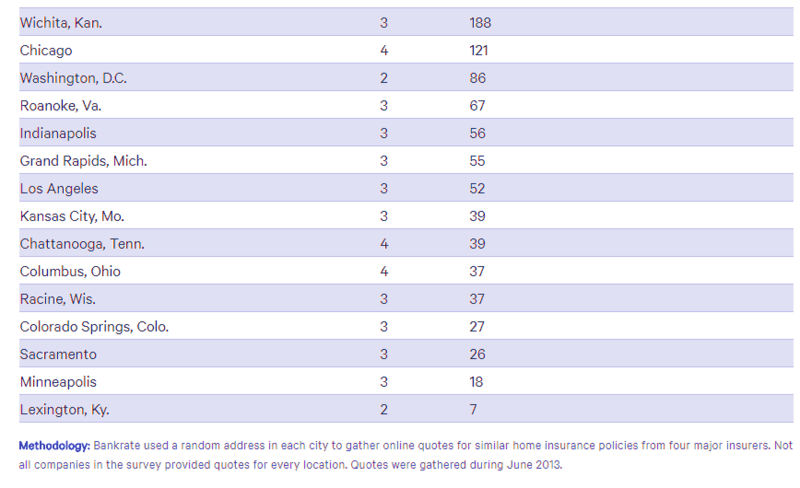 ● By the end of the year, more than five of your 100 neighbors will have filed insurance claims for various losses. ● While shaving off your bills is commendable, opting out of homeowners insurance coverage actually leaves you vulnerable. ● Michigan’s average premium rate of $1,073 is slightly lower than the nation’s $1,288. But it’s still beyond what most individuals might consider reasonably comfortable. Especially if you’re within Detroit area, where it’s almost double at $2,038. ● Half of the homes in high-risk areas, according to FEMA, are not even insured. ● Start shopping only after you’ve conducted a comprehensive appraisal of your home. ● Over the past year home values have shot up by 8%. Consequently pushing the average value to $153,000. ● The only way to get the economics right is achieving that delicate balance between insurance cost and possible risk factors. ● Detroit, for instance, is placed topmost above 100 cities with the highest home fire risk. ● In Grand Rapids, the difference between the highest and most expensive quotes was 55%. ● Shopping around is not just about the cost. You should also focus on the respective policy details. How did you shop for homeowners insurance before? Did you find anything that I forgot to mention? Let us know in the comments below.